Jeanine T. Abraham | No, YOU Tell It! This is the era to take a stand, but generations of African American Women have been standing up for our entire lifetimes. 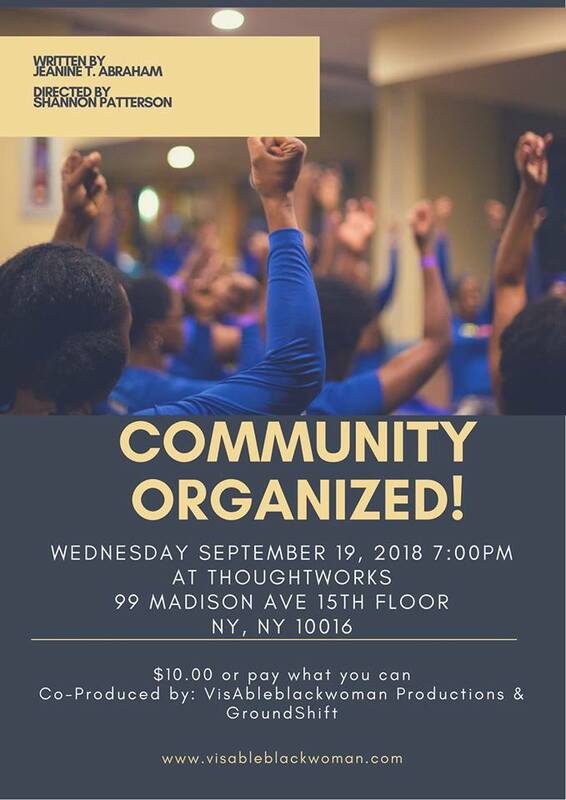 Community Organized! is a collection of five short plays written by friend and alum Jeanine T. Abraham, centering the unique experience of American Black Women and Girls who reside on the front lines of activism in our communities while leading the dominant culture with our style, resilience, humor and beauty while (the majority of us) are invisibly visible in America. Hope to see you on the 19th! Writer, Producer, Actor – Jeanine T. Abraham was inspired to write and produce these plays during the 2016 election cycle and after the election results.